UPDATE: The search for a missing boy in the Willowra area has ended in tragedy today. NT Police located the body of a child following an extensive land and air search in the surrounding area where a family of three was found dead on Jarra Jarra Rd on Wednesday. The child's body was found 120 metres from the family's broken down car. A formal identification of the child is yet to be undertaken so police are unable to confirm if it is the body of the 12-year-old boy believed to be a passenger in the vehicle and reported missing late Wednesday night. Southern Desert Division Superintendent Jody Nobbs said police are yet to rule out that there may have been more passengers in the vehicle. "Although police have no information that suggests there were other passengers in the car, we will continue a precautionary land and air search until we are satisfied that all areas of interest have been sufficiently canvassed," he said. EARLIER: A DESPERATE search is under way to find a missing 12-year-old boy after three people he was possibly in a car with were found dead in Central Australia. Northern Territory Police and Emergency Services are doing land and air searches of the Willowra area, 300km northwest of Alice Springs, after the group was found dead near their broken down car yesterday. Police were alerted to the deaths of two adults and a child after a man raised the alarm at the Willowra Health Clinic just before 12.30pm Wednesday. Investigators arrived on scene late yesterday. They said the three people may have died from exposure a couple of days ago and not as a result of the crash. They said the deaths were not being treated as suspicious and a report will be prepared for Coroner. Further inquiries indicate it is possible another child, the 12-year-old boy, was a passenger in the car. Family members have not authorised the release of the child's name, however have advised police that members in the surrounding communities of Ali Curung, Ti Tree and Willowra are aware of his particulars. Police are appealing to members within those communities to contact police immediately on 131 444 should they locate or have information on the child's whereabouts. News Need a little 'me' time of a Wednesday morning? 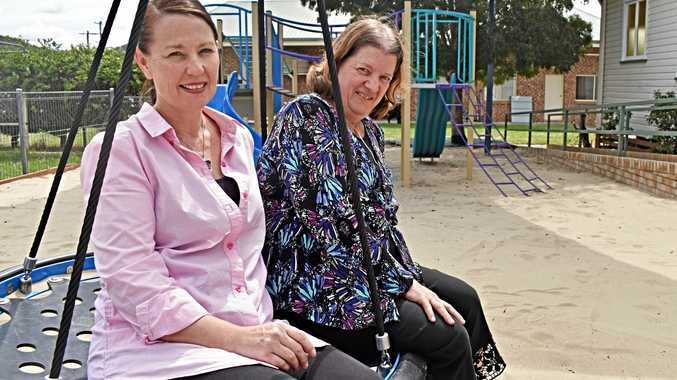 A new playgroup could be just what's needed. News Cunningham get one over the Brits.